The Department of Research & Evaluation has several functions. Each year, we conduct evaluations of various programs and initiatives throughout the district. In the past, we have evaluated technology initiatives, reading interventions, campus-based initiatives, and program pilots. We also conduct major district-wide surveys throughout the year, including the student, parent, and staff climate surveys. In addition, we assist in establishing the reliability and validity of district-created assessments and assessment systems. Our team brings data analysis expertise which can be used to answer administrators’ research questions throughout the year. As part of the process of conducting program evaluations and institutional research, we visit campuses to interview administrators, meet with teachers, conduct classroom observations, and lead focus groups with students and parents. Our department also facilitates the review and approval of external research requests and drafts data sharing agreements as needed to support our work with external partners. If you are interested in submitting a proposal to conduct research in the district, please visit our external research page. 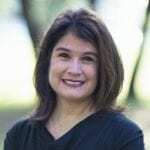 Dr. Cathy Malerba has been with the Round Rock ISD Research & Evaluation department since 2011 and has over 10 years of experience conducting research and program evaluation in public schools. She earned her doctorate in Human Development and Family Sciences from the University of Texas at Austin. In addition to bringing her understanding child development to her work, Dr. Malerba strives to engage stakeholders at every stage of the evaluation process and to build evaluation capacity across the district. David Osman came to the Research and Evaluation team in 2016. He earned his doctorate from The University of Texas at Austin, specializing in Educational Psychology (Human Development, Culture, and Learning Sciences). 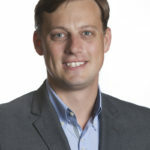 His research is published in journals such as, Teaching and Teacher Education, Educational Psychology Review, and The Journal of Social Studies Research. Before working in Round Rock ISD, David consulted PreK-12 public schools on literacy initiatives for the College of Education at UT-Austin. He is a former special education teacher, social studies teacher (Round Rock HS), and instructional coach (Cedar Ridge HS). 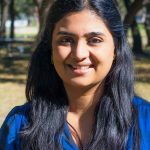 Reetu Naik joined the Round Rock ISD Research and Evaluation team in 2016. 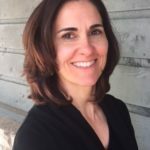 Previously, she worked as a research analyst at Austin ISD where her work focused on evaluating after school programs offered by the District and community partner agencies. She also oversaw the administration and reporting of the annual Substance Use and Safety Survey. Reetu has conducted research on special needs adoption at the University of Texas at Austin. She earned an M.A. in Counseling from Oakland University, Michigan. 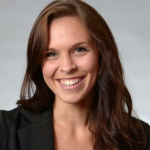 Amanda Schultz entered the Round Rock ISD Research and Evaluation team in 2017. She earned her Masters of Education in Educational Psychology with a concentration in Quantitative Methods at the University of Texas at Austin. Previously, she received her Bachelor of Arts in Psychology from James Madison University in Harrisonburg, Virginia.